In my last race, a cross country race in Boulder CO., I got sunburnt and almost complained of it being too hot. Today it was right back to reality. The sun didn’t show up and I joined the cacophony of runners complaining aybout the cold. But at least we got some warmth care of the sights and sounds of Washington Heights. Like last year I rode the train to Harlem-125th Street Metro North station and from there ran the 3.5 miles to the starting area. I then added a few more miles of warm-up with clubmate Danny Tateo, a newly minted 50 year-old who looks more 25 at a glance and who had a shot at first M50-54. This race starts with a long progressive climb in the first mile – a bit like a ski jump with a steeper incline near the top. Unlike last year there was no photographer blocking our way at 50 metres in so we were saved the mass pile up of 2014. 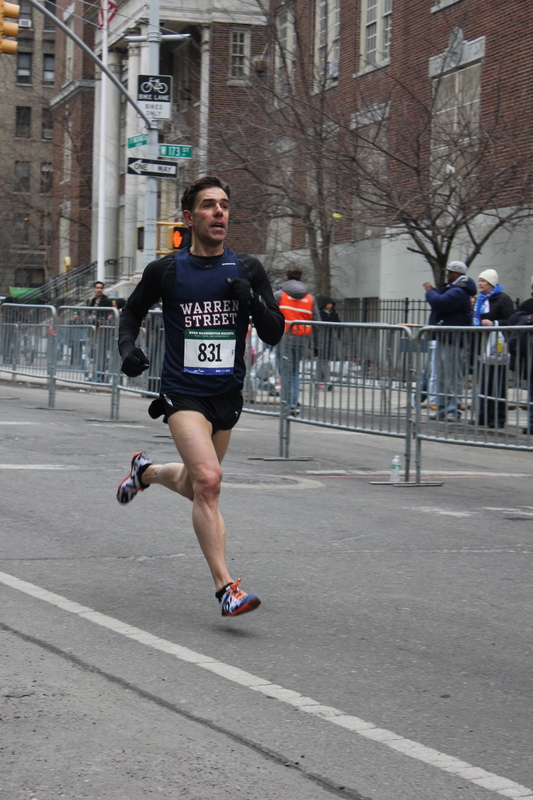 I got to the one mile mark in a shade under 5:20, some 13 seconds behind last year’s split. I hoped to claw back some seconds in the second mile, looping around Fort Tyron Park, and get back on target to match last year’s 16:10 time. 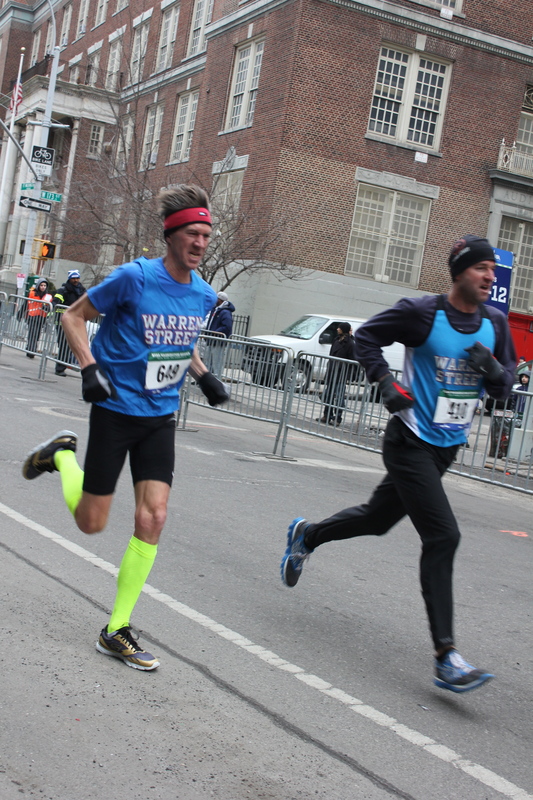 But passing the band clambering up the incline towards the mile two mark, appropriately playing a “A Hard Day’s Night” (they seem to every year as I pass ’em), I was sensing I had not accelerated in the second mile. And sure enough I had not. The clock at mile two showed 10:40. 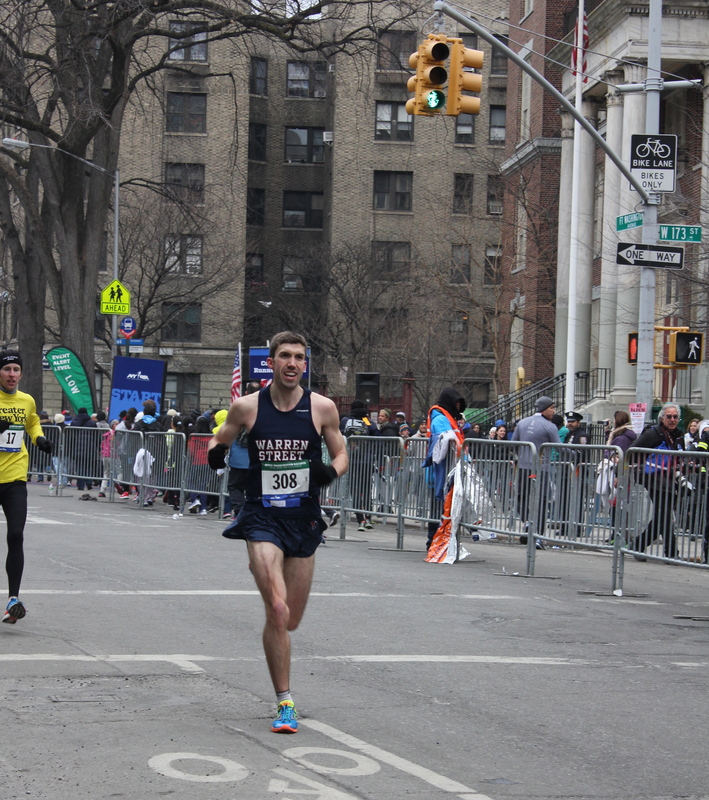 For the last mile, essentially the first mile in reverse and as such a long descent, I tried to stay in contact with Bobby Asher of VCTC but he stole two seconds from me as I closed in 16:29. I was a bit dismayed to be 19 seconds off 2014. But I was first masters. 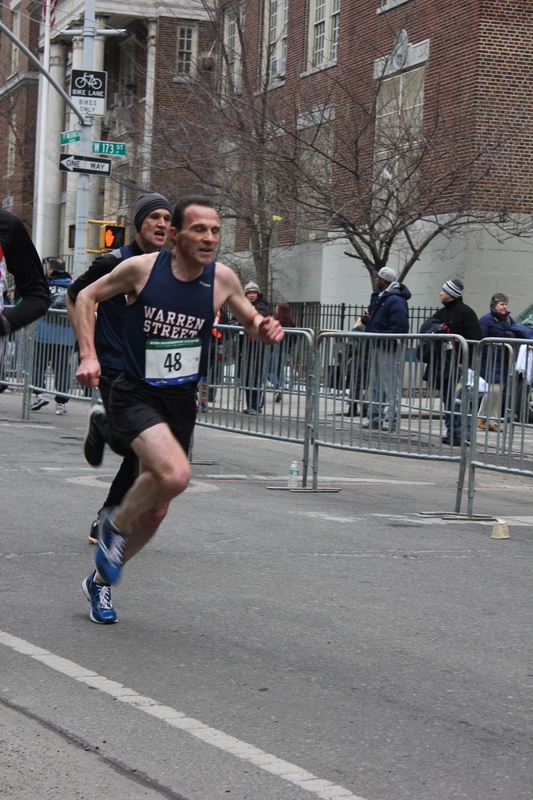 In the finishing area I caught up with team mates: Warren Street had finished 5th men’s open and 1st men’s masters. A great start to the year. 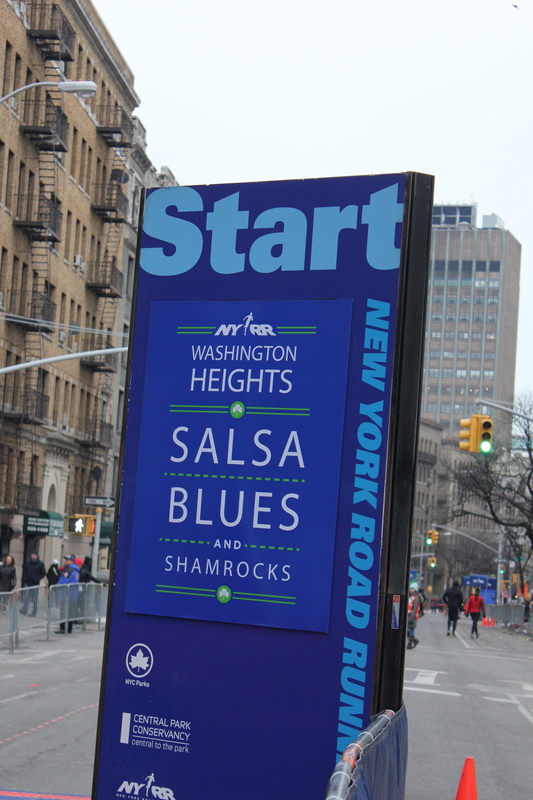 And something for the team to savor over food and drinks at Thursday’s NYRR Club Night. And for me a great end to a week in which I learned at my annual medical check that my ‘body age’ was 29. As I warmed down, with Antony Scott and Carlo Agostinetto, I reflected on what a weird but wonderful crowd runners are. Who in their right minds would be out running, let alone racing, on a bitterly cold Sunday morning. 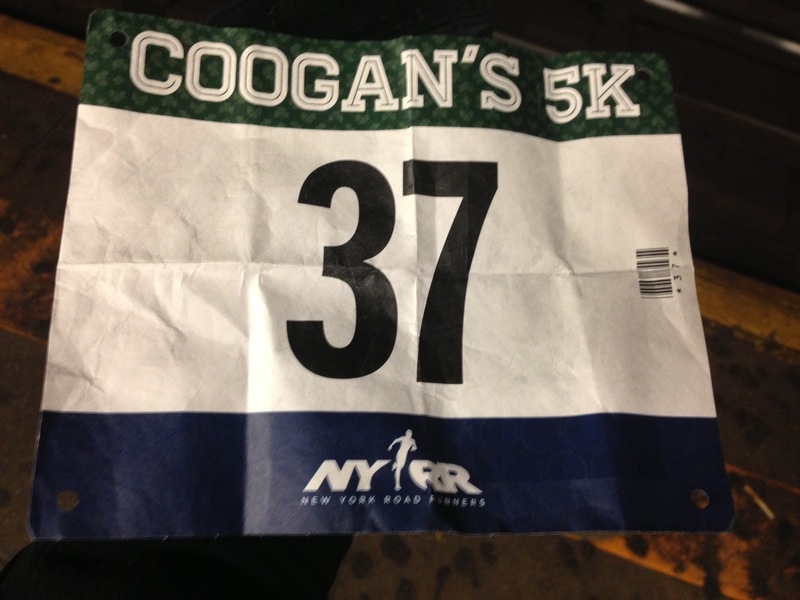 Over 5,700 New Yorkers did just that today. 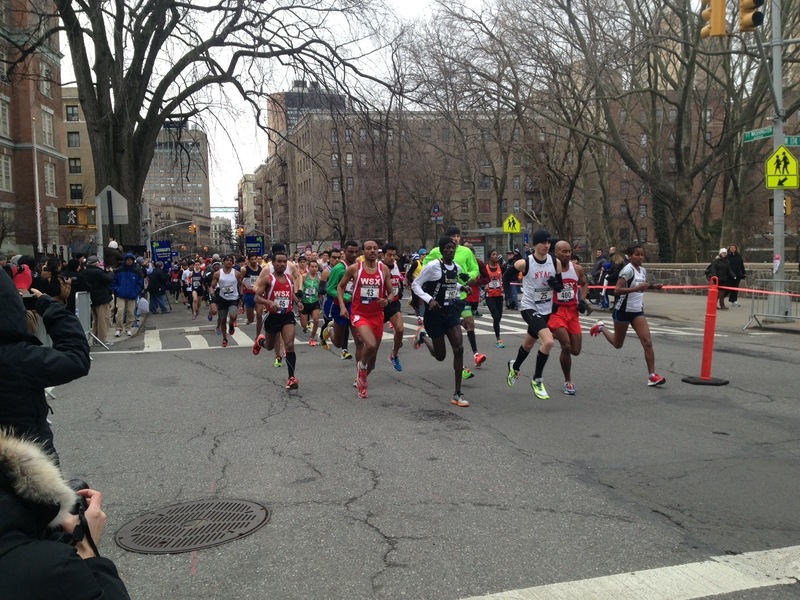 NYRR’s full report and pictures are here.